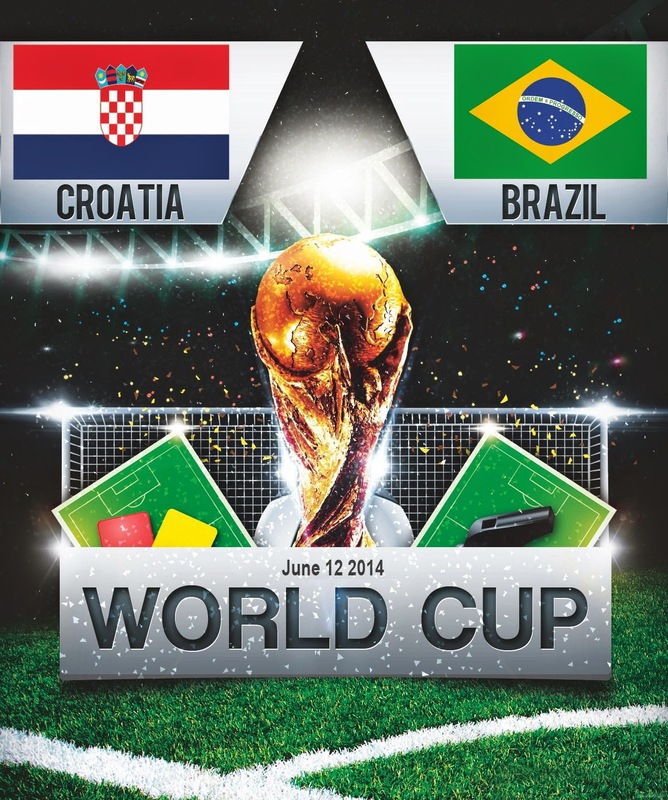 The time of wait is over as FIFA World Cup is kicking off on 12 June 2014 with the opening game between hosts Brazil and Croatia. This will be the “Group A” match where we also have Cameroon and Mexico in the mix and the first game is very crucial for both sides as three points in the opening game will put the winning team in a good position to make it out of the group stage. Brazil of course are playing at home and they will have this slight home advantage but they are coming up against a team who are very solid at the back and hard to break down. Croatia also have players who can hurt any team going forward. But looking at the both lineups and the scenario of first group game of the world cup I can only see one winner in this one and that is Brazil. Brazil will be going with a favorite 4-3-3 formation, Fred playing upto while Neymar and Hulk supporting him from the wing position on either side. While Oscar, Willian and Luis Gustav playing in the central midfield roles. While Croatia are likely to deploy a defensive 4-5-1 formation and trying to play on the counter attacks. Here are our predicted lineups of both sides. Opening game and home advantage both counts towards Brazil and if you go with the betting markets, Brazil are 1/3 favourites going into the game. But Croatia are a team who can defend and they can do a pretty good job of it. Brazil will be relying mostly on Neymar to produce some moment of magic but apart from him Brazil dont have those world beaters anymore but they do have good players all around the pitch. Croatia on the other hand has Mandzukic who is a quality target man while Modric and Rakitic can pull off good passes. 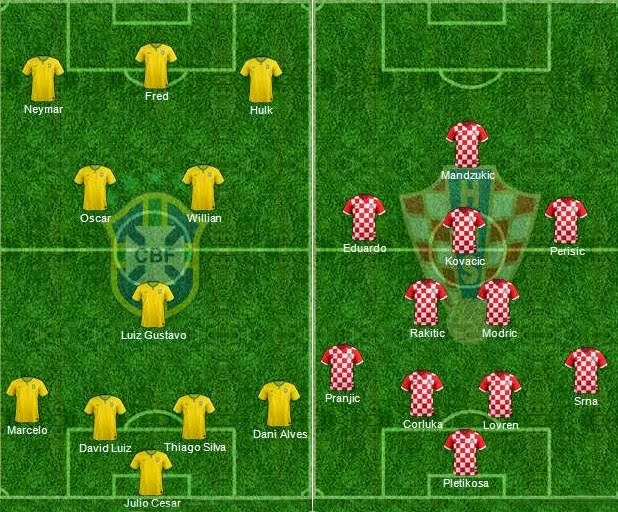 For me this game is a very balanced affair and we will see a typical attack (brazil) vs Defence (croatia) game. If Croatia can survive the first half hour without conceding we are in for a belter of a game.